For Sale in Milton Keynes for Asking Price £72,000. A well presented two bedroom semi detached bungalow offered on the shared ownership scheme at a 30% share. The accommodation comprises entrance hall, lounge/diner, kitchen and bathroom. 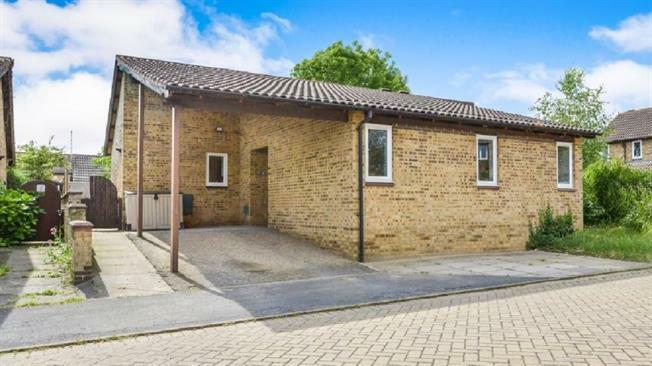 This property also benefits from double glazing, gas central heating, carport and garden. There is also a 15,000 premium. Upvc double glazed front door. Access to all accommodation. UPVC back double glazed door, opening onto the garden. Double glazed uPVC window facing the rear. Radiator. Double aspect double glazed uPVC windows facing the front and rear overlooking the garden. Part tiled walls. Wall and base units, single sink and with mixer tap with drainer, integrated oven, integrated, gas hob, overhead extractor, space for washing machine, fridge/freezer. Heated towel rail, tiled flooring, tiled walls. Low level WC, single enclosure shower, vanity unit, extractor fan.